Labor Day weekend offered an opportunity to take a Hike. So I pulled out maps and books and started looking into where to go. I just bought a guide-book on the Joyce Kilmer / Slick rock Wilderness. That was on my mind. I looked over the map and read a few tail description and got a tentative plan on what trails I would take. I scheduled Friday off so I could maximize the weekend. After work on Thursday, I drove up to Robbinsville, did a little last-minute shopping and ate my last real meal before getting on the trail. From Robbinsville I drove out 129 toward Joyce Kilmer. Just before the trail head parking was a campground called Rattler Ford. So being 9 PM and the first campground I see, I pull in. I may have seen a little sign that said “group camping reservations only”, but it was late and a very small sign that my truck lights hit for only the briefest of time. The place is empty. I poke around, read the information board and knock on the door of the camp host’s R.V. Know one is around to tell me no, so I find a place to hang my ENOs hammock for the night. The hammock sleeps great. I put an air mat in it to help keep it from folding up to tight. It also makes it very comfortable, beats the heck out of sleeping on the ground. The temps dropped down to maybe low 70s. I did not need the sunggie I brought as my blanket. 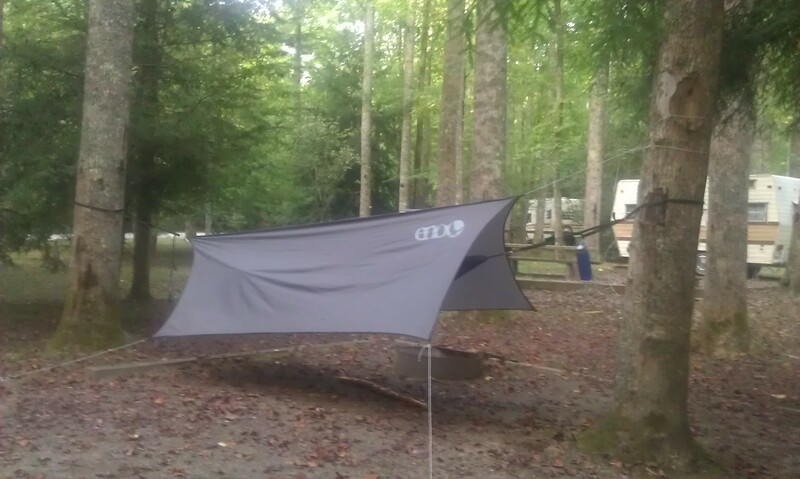 I also add a rain fly not only to keep me dry if it rains but gives me a feeling of being in a tent. Next morning I wake about 7:30 and get out and start to stretch. There he is, the camp “Nazi”. Watching me from across a big field and behind a tree at his R.V. If you ever done a lot of camping at State Parks or National Parks you know these guys. They are the camp host who believes the world will end if any campground rule is broken and they are the ones intrusted to save the planet. The good thing is not all camp host are this way. So what to do, my pack is back at the truck and I need it to break camp. I truly think he thought I could not see him. I start walking to my truck at the edge of the field and keeping my eye on him. I give out the loudest “Good Morning” I could muster. He then comes out from behind the tree and looks like he doesn’t know what to do. I make it to the truck and can see him coming toward me. I got my pack and meet him at the rear of my truck. “You got a reservation?” he ask me. Like I said, Nazi. He may aswell have asked me for my papers in a german accent. “No” I boldly tell him. Then we get into the debate about how the campground is for groups and you need reservations, but there are no groups camping I explained to him. “That’s not the way it works” he protest. “I should have ran you off last night” he tells me. I thought how fun that would have been to have this argument at midnight after waking me up. I have a very strong well and don’t back down to easily. He then said he would not say anything. I’m thinking who is he going to say something to. After the Nazi interrogation and harassment, I packed up my things and headed the mile or so down the road to the Joyce Kilmer parking lot. I turn of the main road and drive about a half mile up to the parking lot. I had not gotten water at the campground thinking I could get it here, but no. There was not any water fountains. I pumped my first bottle of water from the creek that I would follow-up along Necked Ground Trail. I would only pump one bottle at a time to save weight. I changed out of my work cloths that I had slept in and checked my pack to make sure I had all that I need for a four-day hike. Overnight parking was not allowed at the trail head so I left my pack and drove back down to the end of the road and parked where it was allowed. It would work out okay because the trail I would end on ended there also. Back at my pack and I hit the trail. The elderly park cleaning crew was the last people I saw as I headed into the woods. The walk up Santeetlah creek through the virgin forest was easy most of the way. Though this forest has never been log, unlike most of the Appalachian forest, it is not the same forest it was 100 years ago when the American Chestnut covered over 40% of the forest and reached 11 feet in diameter. Today the Yellow Tulip Poplars are the giants of the land. All American Chestnuts were wiped out by the importation of the Chestnut Blight during the early 1900’s. By 1920 the blight was in the southern Appalachian forest and by 1940 most of the Chestnuts were dead. On this trail and thought out the national forest fallen Chestnuts can still be seen slowly rotting away. The forest is always changing. From 1900 to 1930s the region was logged heavily. Timber companies cut roads and RR beds next to every river, creek and stream. A lot of them are the base of the roads and trails we use today. In the late 1930s after the government started buying a lot of the mountains for National forest and parks the CCC build parks like those in The Great Smokey Mountains, roads like the Blue Ridge Parkway and trails like those that are part of the Appalachian Trail. 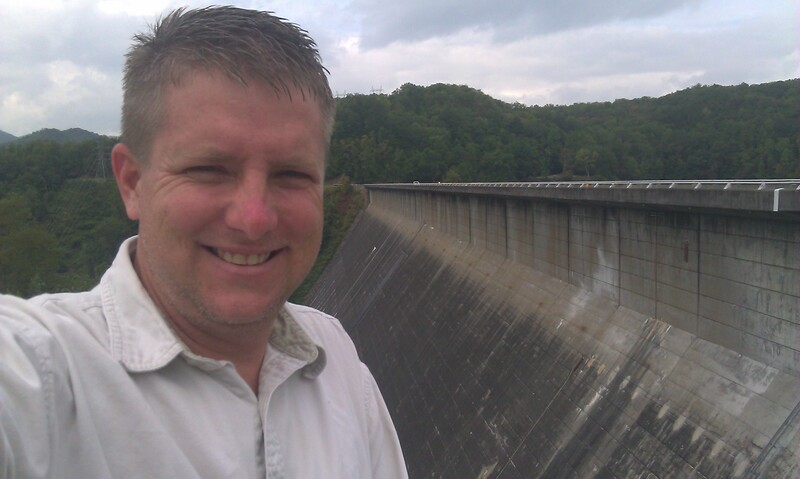 In the early 1940s the TVA (Tennessee Vally Authority) started building dams along the Tennessee River and it’s contributories in the Mountains. 1950, 1960 and 1970 saw population growth in the surrounding communities and the forest second-growth reclaim the land. In the 1980 Smog kild trees above 5000 feet, in the 1990 Pine Beatles kild a lot of the Pine trees. For the last ten years the mighty Eastern Hemlock has been attacked by the Wooly Adelgid. At mile 0.3 I took the alternate trail that was to travel on the other side of the creek and then rejoin the trail a mile up. After 50 yards the trail comes to a camping area and side trails go everywhere. I try a few and could not find where the trail continued on the other side of the creek. I backed track to the main trail. At mile 1.0, I took my first break at a small bridge over Indian Springs Branch. On the Map I had only gone a mile but in reality it had been about 2 miles I had walked sence leaving the truck. My next stop was at this giant Yellow Tulip Poplar. It is the second largest one next to the trail at 16 feet 7 inches in circumference. The opening to the hollow inside is 6 feet high. There are accounts of early settlers taking shelter in trees like this during storm. Some were big enough for families to fit in and there is one account of a man who lived in a hollow tree for sometime. At mile 2.6 is the largest tree next to the trail, a 17 foot 10 inch circumference Yellow Tulip Poplar. I took lunch here. It was hollow too but the one at mile 1.9 was more intriguing. At mile 3.5 I cross my last water supply and stopped to fill my water bottles. I started with four, one full and three empty. I am now down one. I fill all three and leave the stream with only 84 oz of water. I know once on the ridge line I will not find water, the guide-book is clear on that and it’s been dry. The next mile was tough, leaving the gradual incline of the valley, the trail starts to climb to Naked Ground Gap. Once at the gap the trail was over grown and there was a lot of flys. There was also a nice over look back down the valley I just came up. After a little tree pruning to improve my view, I ate dinner. Now on the narrow ridge line, it’s a short mile on the Haoe Lead Trail to the Haoe, the second highest peak in the wilderness at 5249 feet. Some of the trail had been cut back recently but a lot of it was over grown with weeds and briars over your head. 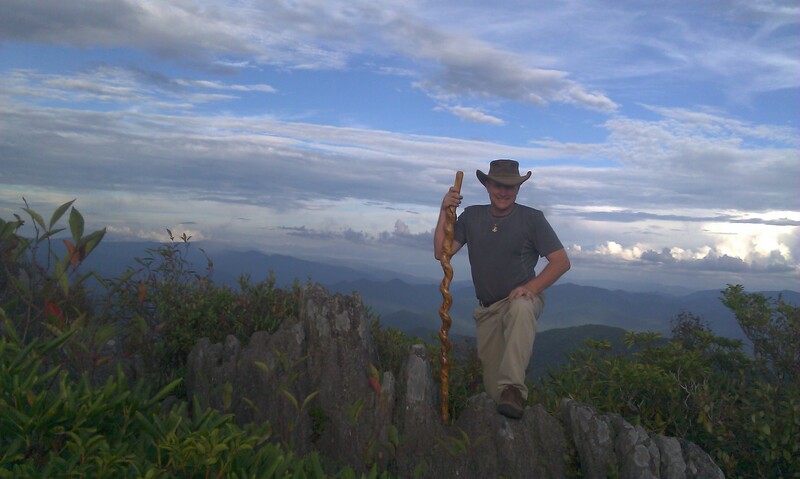 There are no views from the top of the Haoe and a few limited views from the trail. At the peak is the Junction of the Haoe Lead trail and the Hangover Lead Trail. From this Intersection it is only 0.2 miles across the saddle tree gap and another 0.2 miles to the Hangover. I almost did not take the side trail to the Hangover, glad I did. The only thing I knew was it had 360 degree views. The Hangover is short ridge that the last 100 yards is a rocky, Rhododendron and Mountain Laurel bald with out trees. The ridge line points to Maryville at 12 o’clock and Knoxville beyond. At the 1 o’clock and 2 o’clock is The Great Smokey Mountains National park with the little Tennessee River in the foreground. At 3 o’clock is Robbinsvile and the Nantahala forest. 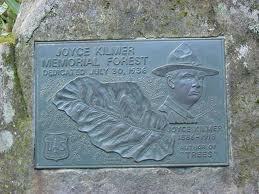 At 4 o’clock and 5 o’clock is the Joyce Kilmer Wilderness. At 6 o’clock is the Haoe. At 7, 8 and 9 o’clock is the Slick Rock Wilderness. At 10 o’clock is Tellico Lake. At 11 o’clock is the Tennessee Valley. I was truly blown away with this view. I was only at 5000 feet but it was the best view I have seen from a mountain top and I have seen a whole lot. 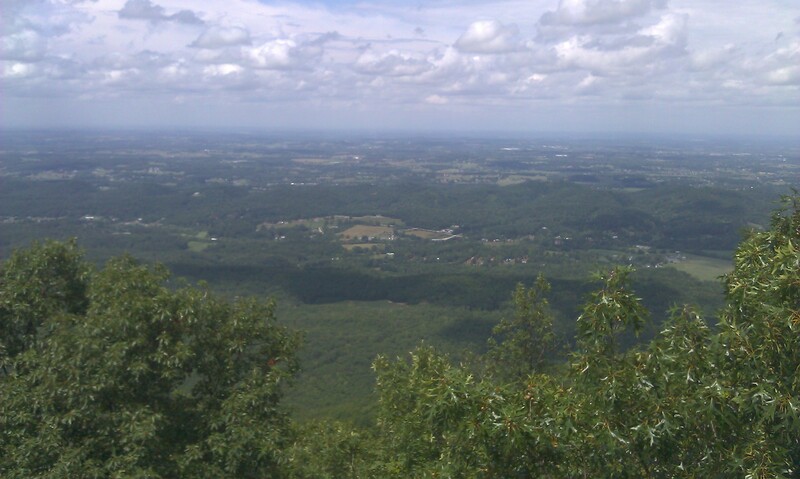 Better than the view from the fire tower on Mount Cammerer. Better than the view from Black Balsam on the Art Lobe. Better than the fire tower on Sterling mountain. Better than Charlies Bunyan. And so on, and so on. I was seeing God’s view. It was awesome. I got very excited and decided to camp right there for the night. With out any trees I had to figure out something. I rigged up the straps, that normally would go around a tree for the hammock to clip into, around the rock out cropping on either side of the trail. With a little help of some parachute cord, I was able to secure each end. The first time I got to use the saw on my multi tool was then to saw down a few rhododendrons, so the hammock would lay straight. The rain fly went up easy. I was able to tie it off to shrubs. I was getting hungry and needed to eat something. The beef jerky I brought was awful and only keep it in case I was starving to death. I was down to my last ration for the day, Ramon noodles. I break out my pocket rocket stove and my minimalist cup and begin to boil up 16 oz of water. remember I only started with 84 oz and had drunk about half already. This could be a problem. I cooked my noodles and ate them all. I did not want to waste water so I made sure to drink all the water that was left in the cup. One other thing I had done when I filed up my bottles the last time was to make some Cool-Aid. I brought a few packs and some sugar. It was nice to have that boost from a sugar drink when I climbed the last mile of the Nacked Ground Trail but now that was gone too. I was down to less than 24 oz of water. Darkness soon fell and a full moon was shining bright over Robbinsville. You could see every light down in the Tennessee Valley but in the National forest it was dark, all except little Robbinsville. It was like a little island. Once agin I was amazed at the sight before me. I decided I would spend some time the next day just taking in the view. With the moon so bright I could not see many stars. I was very tired and went to bed around 11 PM. I woke just before sunrise and was able to watch the sun come up over the Smokey mountains. Fog was lying low in the valleys. After the forest woke I wend back to my nest and sleep for a few more hours. Up again and ate breakfast. I took a close look at the map, the landscape in front of me and the trail descriptions of my route. I decided that I was at the best location this Wilderness could offer. I did not want to walk up and down any more mountain and I knew that I did not bring enough food for the four days. On my last 30 mile hike i took too much food and now too little. I wouldn’t starve but I would go a little hungry. The lack of water also weighed my decision. Now I had to call an audible. How long would I stay here and where to go when I leave. The view was so impressive, I wanted to stay most of the day but I knew my water supply would not allow it. I decided I would stay till lunch. I pull my air mat out and made me a recliner out of a rock outcropping. I spent the rest of the morning watching clouds and fog role in and out and napping here and there. I ate lunch and packed up around noon and was on the trail by one. I made my way back to the Haoe and took the Haoe lead down the mountain. It was strate down. Again the trail was overgrown. The trail guide is given in the opposite direction and I try to figure my location from land marks in the guide but working backwards is difficult. I keep thing I am at one location then I come to another area and discover the guide is talking about this location. This makes me thing I have missed the Jenkins Meadow Trail. It seems I have walked more than the 1.3 miles to the trail head. If I miss this trail its 3.9 more miles to the road and then 4 or 5 miles down the road to my truck with out a water source. Do I back track and look for the trail or do I keep going and potentially keep getting further away from it. I give up hope of finding the trail a decide to keep going down the trail and start planing on camping at the trail head. Then I came around a corner and there was the Jenkins Meadow Trail head. I was happy to see the trail but was disappointed that I had only hiked 1.3 miles. I felt I was going slow. Most of the trail was down hill with a few flat areas. You would thing this would be easy walking but it is not. It puts a lot os stress on your knees and the extra weight of your pack pushes you down the hil,l so you are having to catch yourself with every steep. The Jenkins Meadow Trail drops 2,320 feet in 3.3 miles, another steep trail. I am now back in an open hard wood forest and the trail is no longer overgrown. About 2 miles down the trail I find a little water running across the trail. I was down to about 4 oz. I fill one water bottle up as much as I can from the little trickle and pump out of it to fill my other bottle. There is nothing to draw you on this trail and it is a boring, painful walk. Again I think I have hiked more than what I have, but I know I am still to high to be close to the end. 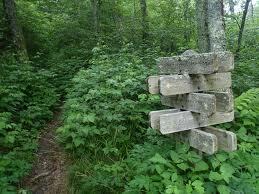 With no highlights on the trail, the trail guide’s landmarks are easily mistaken for something else. One small open area looks like the last one you were at 10 minutes ago. So which one is the guide talking about. I made it to the truck by 4:30, so not a bad time. It was just a boring hike. Once at the truck I drove around Lake Santneetlah looking for a camping spot for the night. All were full, so I made my way back to Robbinsville for a Big Mac. After my dinner, I decided to head to The Great Smokey Mountains. On the way I stopped at Cable Cove Campground on lake Fontana. The campground was primitive, no power, no showers or water at individual camp sites. There was one toilet and one communal water source. It was dark when I drove in and there was a lot of empty sites to choose from. I fount one that had trees that would work for my hammock. I did walk back to the information board and pay the $10.00 user fee. Setup only took a few minutes and was very easy with the truck and table close by to spread all my stuff on. I was hoping to find a campground with a shower because it’s now Saturday night and I have not showed sence Wednesday night. Plus I am waring the same cloths sence Friday morning. I about can’t stand myself. There is not much to do so I craw into bed. I do have my phone, so I play a few games of solitaire before going to sleep. Next morning I was up early and broke camp. I exploded the lake at Cable Cove boat ramp then drove to the Fontana Marina looking for a shower. I had passes a few small Baptist churches and was trying to figure out a way to shower in time to make meeting. All the churches start at 10:30 and it will be close. I had a clean shirt and my paints from Thursday were not that dirty. But there was not a shower there so I drove over to the dam and stopped at a overlook of the lake. The Appalachian Trail crosses the Dam of the lake and has a shelter close by. 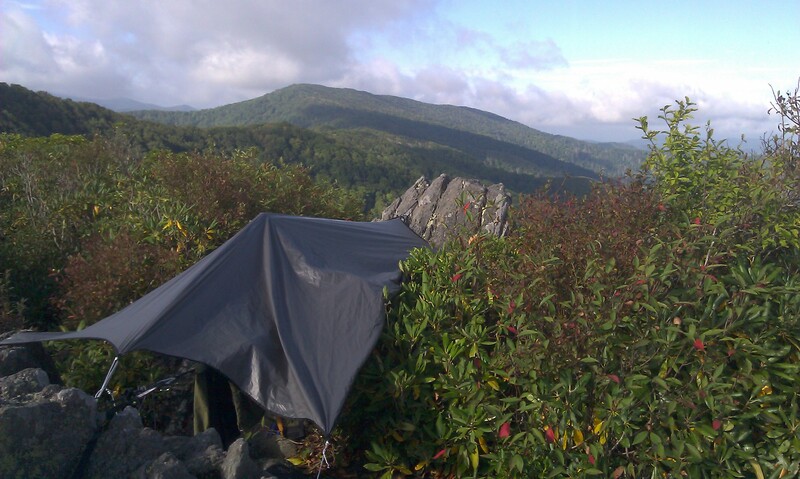 Better yet there is a shower house for thru hikers just a few yards from where I parked. I showed and changed into clean cloths but it was too late to make it to church. I will have to plan better on my next trip. I have wanted to visit one of these small mountain churches for some time. I drove on down to the dam and went to the dam museum and the dam gift shop but there was not a dam tour. Fontana is the highest dam this side of the Mississippi at 480 feet. You can drive across the dam but I chose to walk about half way out and back. The dam was a WWII project to supply power for aluminum factory. Ground was broke just 2 and a half months after the Jap attack on Pearl Harbor. Work was around the clock. Patriotic music was played over load speakers. The town on Fontana Village was formed to house the dam workers and their families. The dam was completed in 3 years. After my visit to the dam, I drove to Fontana Village. It is now a resort with cabins, restraints, gas station, and a lot of other amenities. Over priced if you ask me. 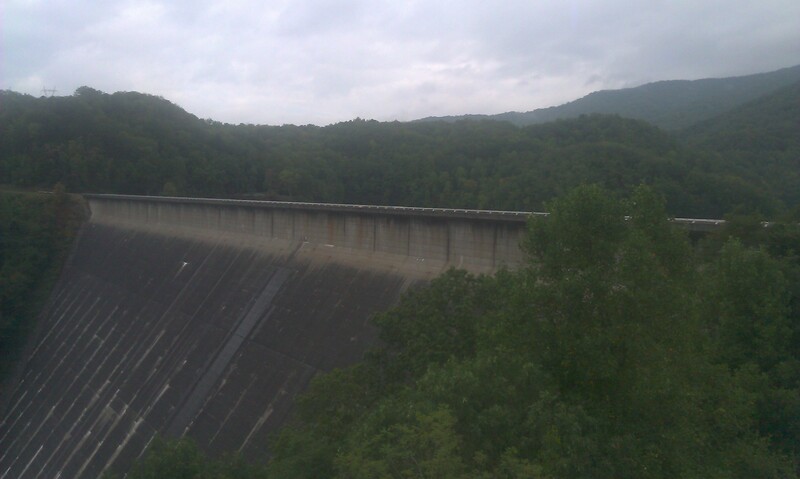 I then drove on down to the base of the dam. From this view you can see just how big the dam is. A mile or so from the bridge is the beginning of the Foothills Parkway. This will take me to Townsend. The road quickly climbs above Happy Valley. 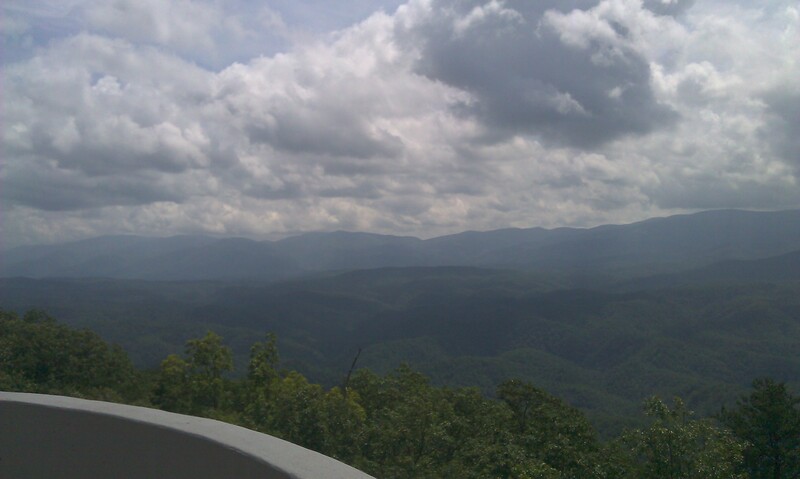 I pull over at a overlook and eat lunch looking at the main ridge of the Smokeys. It is Labor Day weekend at the most visited National Park in the United States but so far I have stayed away from crowds. On the trail, I did not see anyone at all from Friday morning to Saturday evening. There was not to many people around Robbinsvile or Lake Fontana. There were was a good many on the Dragon Tail but not bad. On the Foothills Parkway, only a few people here and there. I know once I get to Townsend I will start to see the crowds. After lunch I drove on up to the top of the parkway at Look Rock. I pulled over and took a quick look at the rock overlook. It is the same view I just came from so I take the 0.5 mile trail up to this tower used to monitor air quality. From the tower there is a nice view of the Tennessee Valley and you can barely see the Cumberland Mountains on the horizon. From the other side of the tower the Smokeys stand tall behind Happy Vally and Cades Cove. On to Townsend at the Western entry of the Park, home of the Little River Rail Road and Lumber Company that was founded in 1901. The Rail Road is responsible for the most of the roads and trails in the Smokeys. They laid more than 300 miles of track and logged over 80,000 acres. On Sundays engines that would pull log cars during the 6 day work week would pull passenger cars along the Little River. Todays Little River Road is on that same Rail Road bed. As early as the 1920’s, resorts were spring up in what would become the National Park. Rail service increased and soon there was a train a day from Knoxville to Elkmont. In the 1930’s logging was on the decline and soon the towns that boomed around logging camps became ghost towns. The Great Smokey Mountain Park was created and all the tracks were removed. I stopped to eat in Townsend and while I was in the gift shop, I saw a photo of the same train from the above photo. It was coming around a curve that has a rock overhang that those that have driven Little River Road would recognize. Next time you are driving in the Smokeys, remember trains have made the same journey. where I saw several Gobbler Turkeys feeding along the trail. I saw more turkeys on this trip than I have ever seen. One the way back to the truck I meet a young family walking to the cabin. The five year old little boy asked if I live here and I told him Yes I did and welcome to my house. He then asked If I had seen any bears. I said I had and showed him my photos of the bear in the water. He was then off to something else. Back at the truck the bear jam was still going on. Some nice person let me in line. A few minutes later a ranger walks by and I ask her if it’s a bear jam. She said she thought so. She soon passed me and was out of sight. Twenty minutes later the traffic starts moving and I catch back up with her. She has a brace on her leg so I offer her a ride. She climbs in, I know I only have a few minutes to quiz her. She told me how the fields are mowed ever other year. How the bears are on the increase and how the coyotes are impacting the deer population. She told me of a photographer who showed her his photos of a coyote taking down a deer. The traffic stops again and she hopes out and keeps walking. 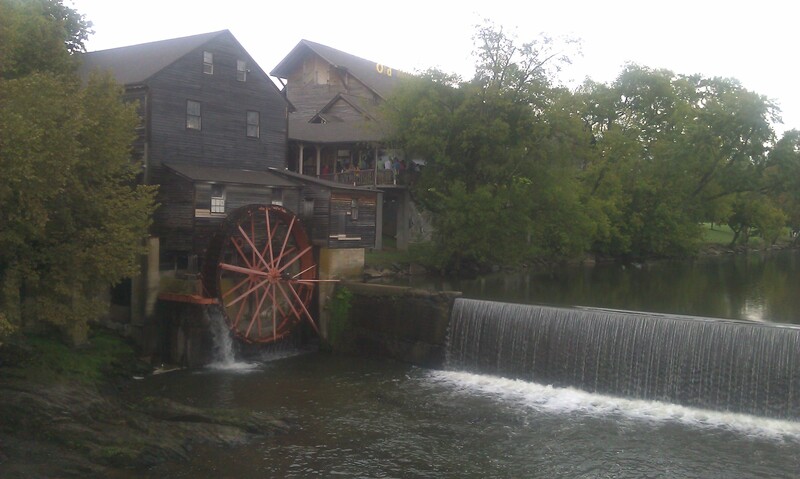 The bear is long gone by the time I get to the turn at the grist mill. Traffic opens up and I can drive about 15 MPH. You really don’t need to go faster than that. I will tell you why later. It is about to get dark and traffic slows again. I pull over and see the first coyote I have ever seen in the Park. You can hear them all the time, but to see one is rare. He is over 100 yards away, along a tree line in a field. He works back and forth tracking a deer. As he nears the bottom of the hill where there is a fence line and over grown brush, I see the white tail of the deer he was tracking. It is now dusk and I can’t make out details so I finish driving the loop road. The loop road ends at the campground. Now I did pass a sign at the beginning of the road that leads from Townsend the 11 miles to Cades Cove that said the camp ground is full. The government is always lies to us, so I figured this was a lie too. I drove the first loop and took note of what sites were empty and came back to the now closed ranger station to cross check the late arrival sheet. I found several sites that were empty and not listed on the board. While checking the list, I noticed a camper pulling out. What really got my attention was when the camper stopped and dropped off its site registration card in the night deposit box. The box sits off by itself, and all you do is open the top and drop the paper in. I know a ranger is still inside the office because I have seen lights come on and off. I sit in the truck untill the ranger leaves. I then walk over, and pull two registration cards out of the box. Wouldn’t you know it, the end date is for Monday. I am in luck. I go and check out my two camp sits. The first doesn’t look like it has enough tree for me but the next one is a corner lot with more empty lots around, plus trees for my hammock. I get the hammock up with the rain fly because there is lighting all around. I was wanting to take a night hike in the cove to see some stars out here where there is very little light pollution. But with more rain coming in I decide to stick close to camp. I change out of my wet cloths. I have one clean shirt left and back into my dirty paints. Once again I crawl into the hammock. Just in time too, the rain starts to come down heavy. Monday morning I was up early again. I got packed up and up to the loop road gate before the ranger. About 10 cars are ahead of me, including a photographer right in front of me. I ask him if he is the guy the ranger was talking about that had seen the coyote take down the deer. He wasn’t but he showed me one that he had seen trying to find a bear cub in a fence line. The mom bear came back and ran him off. After 30 minute or so the ranger opened the gate. Slow go at first. A few deer are out, but nothing to get out of the truck for. I really did see anything so I stopped to take a few shots of these turkeys. I was walking back to my truck on the side of the road when I heard a car approaching very fast. I step way off the road and wait on the car to pass. The truck tops the hill and sees me. It hard breaks and comes on by me. A ranger sheepishly gives me a wave. I said “going a little to fast, aren’t you” as he drive past. He stops and turns back and said that he was. Then tells me he is clearing the roads of fallen trees. You know what, he did a wonderful job. I did not see one fallen tree from that point on my whole trip. This is why I was saying you don’t need to go over 15 MPH, all kinds of things could step out in the road here. I see a few more deer and turkeys but no more bears. Off to Pigeon Forge. This is over half the reason I left Joyce Kilmer, The Old Mill restraint. We love the breakfast they serve, not so much the dinner. I was a little worried about my appearance but I did not let that stop me from enjoying one of the best meals around. I did see a groundhog on the way in, so add that to the wildlife list. The breakfast consists of; pancakes, fried potatoes, sausage, corn fritters, eggs, grits, biscuits and gravy with OJ. I can’t eat it all, so box up a biscuit and sausage patty for latter. Pigeon Forge is packed with people, I got to get out of here. I take back roads to Cosby, then the other end of Foothills Parkway to I-40. I take I-40 to the Water Town exit. 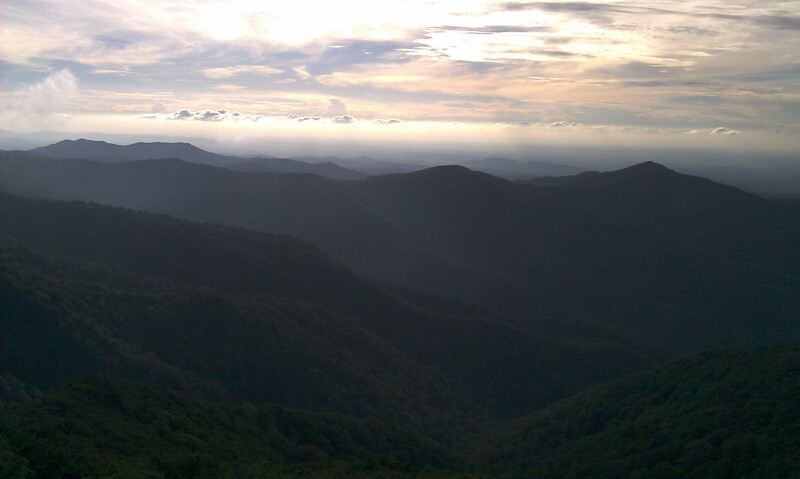 From here I drive the 16 mile to Cataloochee on a winding dirt road. About three miles in, I stopped at the Cataloochee Baptist Church. It was founded in 1903 and sits on a little knoll with a cemetery in the rear. The grounds were keep very neat and clean. The church was well maintained also. What I really liked was the his and her out-houses that has vinyl siding and fresh paint. I have grown up in churches that use out-houses but have never seen any that were this close. They are always very far apart. One on one side of the church yard and the other on the other side of the yard. Not surprisingly, the church was unlocked. I went in and explored. The church only meets once a year for homecoming. The community that once supported this church no longer exist. A victim of the creation of the Park. I only meet one car on the way to Cataloochee Valley. This is how I like it. I have made the drive to this remote valley for one reason, Elk. The park has reintroduced Rocky Mountain Elk. They started with 80 and are now up to 160. I get into the valley around noon. Not a good time to see Elk, but the turkeys are out. The Valley is a lot smaller than Cades Cove. There is a single, one lane, two-way, 2 mile road down the center with large fields on each side. A large creek hugs the south ridge. 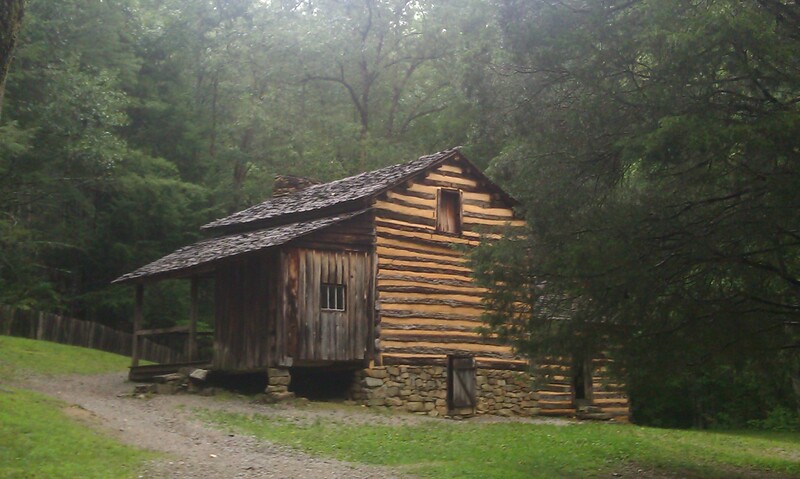 The Park has preserved a few cabins, barns, a church and a school-house. The church in the photo (left) faces the creek and the old road bed. The school-house (photo right) has a very innovative design feature. The school is divided into two rooms. The wall that is the divider has four panels that can be razed to form one large room. In the photo you can see that one panel has been razed to demonstrate how this system works. I thought it was a very good way to convert this building in to a multi use facility. It is a school most of the time but can become a dance hall, a town hall, maybe even a courthouse. At some point one of the rooms were “updated” and the panels were nailed shut. It’s only when you look at them from the unfinished room can you tell what they are used for. I drove up and down the road a few time but didn’t see any Elk. I stopped and checked out the school then I parked at the church and hiked to the Palmer cemetery. That was the steepest hill I have been on all weekend. After that I walked back down to the church and walked down the creek along the old road. I was hoping to see some elk in these woods. No luck. The road is now a horse trail. Between the old road and the creek is a knee-high river rock wall. Round rocks don’t stack well and most of the wall is crumbling. I like to think about what life was like here and what this lane would have looked like 100 years ago with a carriage coming down it on Sunday morning going to church. It’s nice to romantics that time period but the truth is, I like my modern life just fine. It’s around 2PM and I have to leave now to make it home before its to late. I walk the road back to my truck. Very few people are in the valley, may be 100 at the most. So when a black Cadillac passes me with Fl plates I take notice and laugh a little to myself because I know the road he had to take to get here. I can only imagine what he was thinking bringing that Cadillac up the winding dirt road with hair pin turns. This road needs to be on the TV show “Deadliest Roads”. I am now on my way home. I travel the aforementioned road and only had one close call with a head on collision. My rough takes me to Maggie Valley over the mountain and across the Blue Ridge Parkway, back down into Cherokee Indian Reservation, Bryson City and the Nantahala Gorge to complete my circle of The Great Smokey Mountain Park. While driving through the Nantahala River Gorge, I seen a hitch hiker just past the NOC. I pull over and he jumps in. This is very common here. I used to do the same thing when I kayaked this river. He and his family were here from New Orlans escaping the latest hurricane. They keep a camper near by and use this area as their bug out place. I thought it a very good idea. I drop him off at the “put in” and headed home.